View More In Paprika - Page 4. 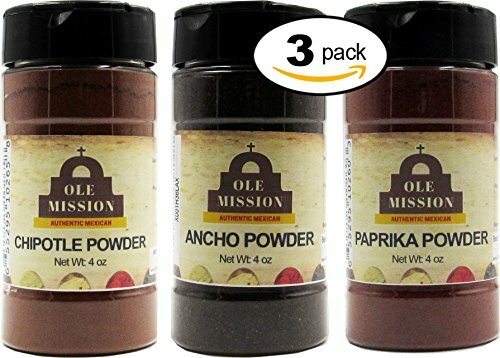 Size: 3 Powder Pack 3 x 4 oz heat sealed shakers for a total of 12 oz features Smoked Chipotle Morita Powder, Fancy Smoked Spanish Paprika and Pure Ground Ancho Powder. If you have any questions about this product by Ole Mission, contact us by completing and submitting the form below. If you are looking for a specif part number, please include it with your message.